Dr. Adam V. Fontana joined the Bethel College faculty in fall 2016 as Director of Instrumental Music and Assistant Professor of Music. In addition to teaching courses in conducting, music and music education, he is the conductor of the Bethel College Wind Ensemble and Bethel College Philharmonia Orchestra. Under his direction, both the Wind Ensemble and Philharmonia were selected to perform at the 2018 Kansas Music Educators Association State Conference. Fontana graduated with the Doctor of Musical Arts degree in conducting from the University of Missouri-Kansas City’s Conservatory of Music and Dance, where he studied conducting with Steven D. Davis and served as a graduate teaching assistant for the Bands at the Conservatory. In addition to his studies, Fontana was the Conducting Fellow of the Youth Symphony of Kansas City’s Symphony Orchestra for three seasons. Fontana recently presented at the 2018 College Band Directors National Association (CBDNA) Southwest Division Conference at the University of Houston in March 2018. In the spring of 2017, he presented clinics at the state music educators conferences in Kansas and Connecticut. In March 2015, he presented his research on Stanislaw Skrowaczewski’s Music for Winds at the CBDNA National Conference in Nashville. Fontana was the conductor and founder of the Hudson Valley Chamber Winds (HVCW), a professional chamber wind ensemble based in New York’s Hudson Valley. Under Fontana’s direction, HVCW collaborated with local music students and community organizations, and was selected to perform at the 2012 CBDNA Eastern Division Conference at the Indiana University of Pennsylvania. As a clarinetist, Fontana is a three-time performer in Carnegie Hall, performing with the Juilliard Orchestra (under the direction of Marin Alsop), the Hartt Wind Ensemble and the National Collegiate Wind Ensemble. He also appears as a clarinetist on the Hartt Wind Ensemble’s Naxos recordings, Raw Earth and Dragon Rhyme. Fontana has nine years of public school music teaching experience in New York and Connecticut. 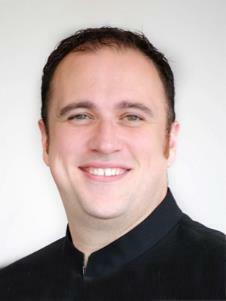 He holds additional degrees in music education and conducting from the Hartt School, Columbia University Teacher’s College and SUNY Potsdam’s Crane School of Music.